Management Liability Insurance covered director and company legal costs defending Workcover allegations. WE PREVIOUSLY POSTED ABOUT HOW MANAGEMENT LIABILITY INSURANCE. protects you and the company against the risks and exposures of running the company (i.e. your liability for mismanagement). It covers loss arising from claims brought against the directors, officers or employees acting in a managerial or supervisory capacity within the company. Without adequate protection you could risk losing, not only your business, but also your personal assets. This insurance protects you personally and therefore your wealth and lifestyle. The legal costs to defend allegations of wrongful acts alone can be financially crippling for businesses and individuals.Without adequate protection, you could risk losing, not only your business, but also your personal assets. Management Liability Insurance protects you personally and therefore your wealth and lifestyle. Here are some additional features and attributes to consider when considering this type of insurance. Designed to protect the personal assets of directors and officers, it provides indemnity for loss arising from a claim as a result of a wrongful act committed in the course of directors performing their duties. Where have claims against Directors and Officers arisen from? Loss arising from claims brought by past, present or prospective employees alleging discrimination, sexual harassment or failure to promote. In today’s world employees are aware of their rights and will look to enforce them if they believe they have been wronged in the workplace. Whilst you may think you know your employees, claims can also arise from prospective employees who believe they may have been discriminated against in the interview process or wrongfully denied employment. A female employee is made redundant without warning. She takes action against the company for both wrongful dismissal and discrimination as she claims her manager also constantly belittled and insulted her in front of other staff with rude and offensive comments. The case was settled for $65,000 with additional defence costs of $18,000 also covered under the Management Liability policy. The insured was erecting scaffolding at a building site when the scaffolding collapsed. Part of it fell onto vehicles on a busy road, causing injury to an employee below. 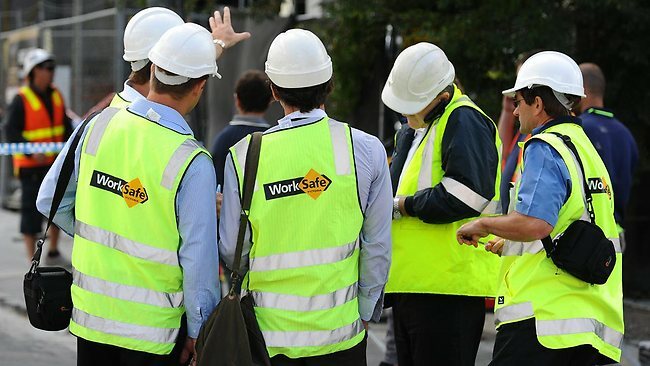 Workcover interviewed staff on site and the company was alleged to have breached the Workplace Health and Safety Act for failing to prevent the incident and ensuring that their employees followed scaffolding erection guidelines. The company was fined, however the Management Liability policy covered the directors and the company for legal costs sustained in defending allegations raised by Workcover. This included legal representation expenses incurred during questioning by the investigators. The Management Liability cover also coved the fines imposed. Management Liability cover is critical in the event of a workplace accident. Loss arising from third party theft or employee theft. Several employees colluded with the warehouse manager to steal cookware out of the normal warehouse shipments and sell it at discounted prices to restaurants in three states, while doctoring inventory records to cover the theft. The scheme, which continued for several years, was finally brought to light by an audit and an undercover investigation. The audit determined that close to $1million worth of inventory had been stolen. The investigation ran for three months, which cost a further $65,000. Cover provided for the loss and investigation costs under the Management Liability policy. So why should you purchase a purchase a Management Liability Policy? Protect against unforeseen risks of business that may arise in the form of statutory liability or an employee or third party crime. Management Liability Insurance protects you and the company against the risks and exposures of running the company (i.e. your liability for mismanagement). It covers loss arising from claims brought against the directors, officers or employees acting in a managerial or supervisory capacity within the company. Without adequate protection you could risk losing, not only your business, but also your personal assets. This insurance protects you personally and therefore your wealth and lifestyle. The legal costs to defend allegations of wrongful acts alone can be financially crippling for businesses and individuals. To find out more about Management Liability Insurance, please apply online or call us on 1300 787 789.